Stoke City manager Mark Hughes has confirmed that goalkeeper Jack Butland will not be fit enough to feature for England against Slovakia on 4th September. The 23-year-old missed the Potters’ 1-1 draw at Middlesbrough on Saturday after sustaining an ankle problem in training. Veteran former Newcastle United shot-stopper Shay Given started in goal against Boro while Butland admitted he was revealed to discover that the injury will keep him out for weeks rather than months. The World Cup qualifier against Slovakia will be Sam Allardyce’s first game in charge of the national team, while Stoke are available at 7/4 to finish in the top ten of the Premier League this season. 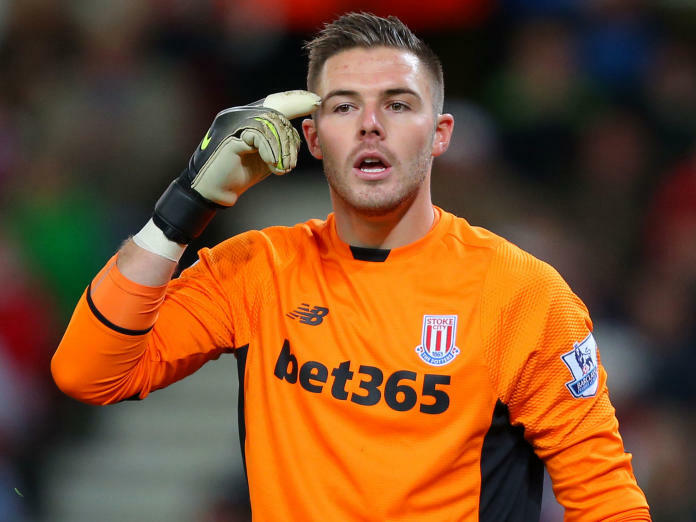 When asked whether Butland would be able to play in the Slovakia match, Hughes replied: “He won’t be involved in that. It’s important that he gets back to playing and training and he’ll need a two-week period after the injury where he needs to get up to speed. He won’t be ready for England. “We don’t want to put a timescale on it but we’ve had good news. It should settle down quickly and it’s a matter of weeks rather than anything more significant thankfully. Allardyce is believed to be pondering his goalkeeping options as Joe Hart was dropped by Pep Guardiola for Manchester City’s victory against Sunderland on Saturday after making some high-profile errors for England at Euro 2016.